8.15 p.m.: An introduction to Church Architecture. Where we worship shapes how we worship and what we think of worship. The shape of our churches shapes our liturgies, enabling some styles of worship, but inhibiting others, so that liturgical change cries out for a change in buildings. Church architecture has evolved over the past 2,000 years, partly by innovation and partly by imitating other architectural styles, usually responding – for better or worse – to changing beliefs, practices, local traditions and cultural, political and economic circumstances. The simplest church building comprises a single meeting space, built of locally available material and using the same skills of construction as the local domestic buildings. 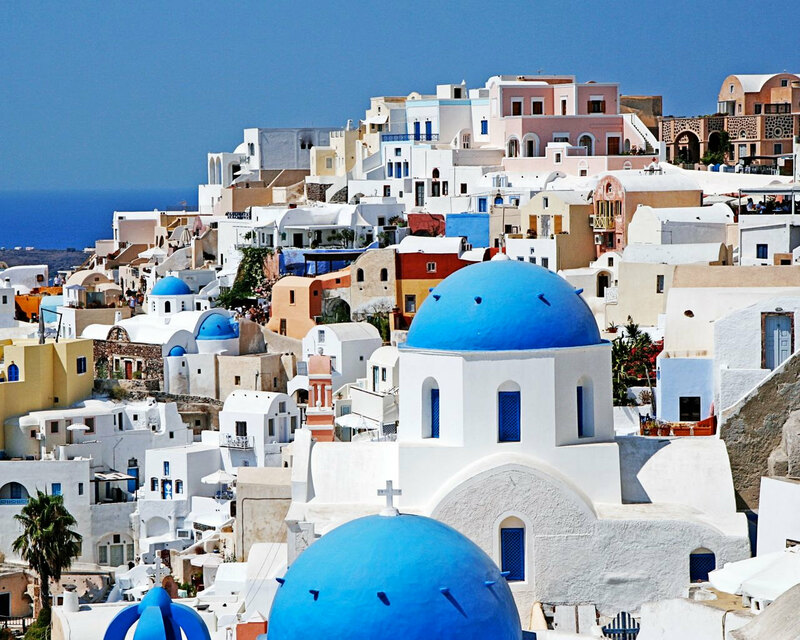 In Europe, we think in terms of rectangular or square shapes. But in those African countries where circular dwellings are common churches may be circular in shape too. But church architecture goes beyond the utilitarian and the functional. In many parishes in Ireland, the parish church may be the oldest building, and is larger than any pre-19th century structure except perhaps a barn. The church is often built of the most durable material available, often dressed stone or brick. It may be the most striking – perhaps even the most beautiful –building in a town or village, and it may have more interior beauty than many other buildings too: paintings, historic monuments, works of art, stained glass windows, Arts and Crafts furniture, brass work, gold and silver altarware, organs that are as good to look at as they are to listen to. For most of people on these islands, when we close our eyes and think of the shape of a church, we think of Gothic revival parish churches or cathedral, with their pointed windows, towers and steeples, side aisles and sanctuaries. We shall see this tomorrow morning [7 March 2015], I hope, during our Field Trip, when we visit Christ Church Cathedral, Dublin. But this is conditioned by where we live. Other people would think differently in Germany, Italy, Greece or Russia. Think of the great Romanesque abbeys and churches from the mediaeval ages that survive throughout Europe, and that survive in the many ruins throughout Ireland. Or, think of the great Renaissance basilicas, with their emphasis on harmony, in southern Europe, some of them replicated in late 19th and early 20th century churches in Ireland. Over the space of history, the needs of parishes and congregations have altered, changed and grown. No longer would we think of building a single-chamber church, and so any exercise in the history of church architecture cannot be reduced to a antiquarian pursuit of the primitive, but must seek to understand where we are today, and why are here. Today, churches have two clearly defined areas: one for the congregation and one for those who have liturgical responsibilities – even that most simple of liturgical spaces, the Quaker Meeting House, often has an elders’ bench. In the course of time, our liturgical needs and our efforts to make our churches and our liturgies more beautiful and more accessible have seen the addition of side aisles, baptisteries, bell towers and belfries, side chapels and mortuary chapels, transepts and vestries. For the Early Church, worship first took place in bolted rooms until Pentecost, in the Temple in Jerusalem and in synagogues until Jews and Christians separated, in open spaces outside city walls, and in private houses. In Philippi, Paul and his followers were prepared to worship in an open place outside city gates until the wealthy Lydia invited them to her home (see Acts 16: 12-14), but also seem to have found another “place of prayer” (see Acts 16: 16). In Corinth, Paul and his followers worshipped in the home of Aquila and Priscilla, wealthy Jews who had come from Rome, as well as in the synagogue (see Acts 18: 1-4; I Corinthians 16: 19 ). We can therefore, how domestic buildings were adapted to function as churches. 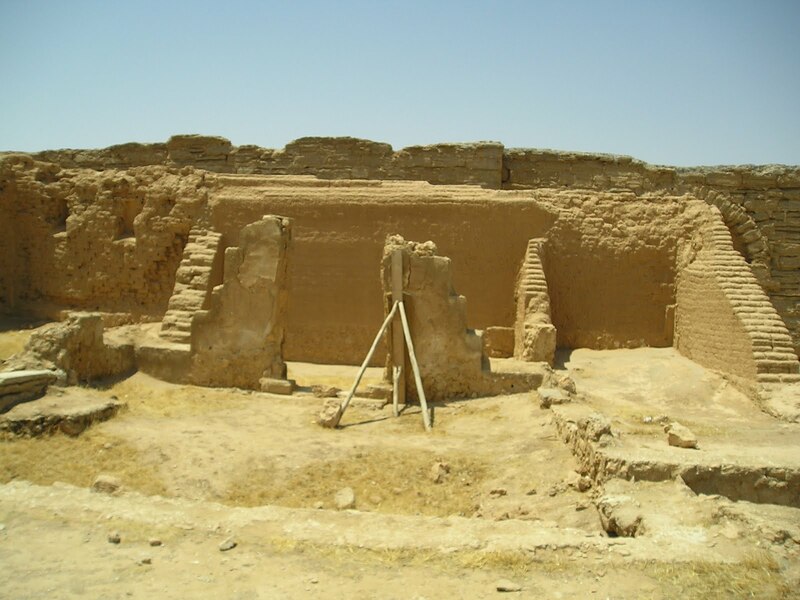 One of the earliest surviving examples of a “house church” is the church at Dura Europos in Syria, built ca 200-235 AD. There, two rooms were made into one by removing a wall and setting up a dais, and turning a small room beside the entrance into a baptistery. Several walls are still standing, and there interesting surviving frescoes. It is to around the same time, ca 221 AD to 227 AD, that we can trace the origins of Santa Maria in Trastevere in Rome, perhaps the earliest purpose-built church. The church in Dura Europos is no longer used, Santa Maria in Trastevere in Rome is a very different building today, and we could spend a lot of time discussing the claims to being the earliest church building. But while the practice of Christianity was illegal, few churches were built. From the first century to the early fourth century, most Christian communities worshipped in private homes, often secretly. Some Roman churches, such as the Basilica of San Clemente in Rome, are built directly over the houses where early Christians worshipped. 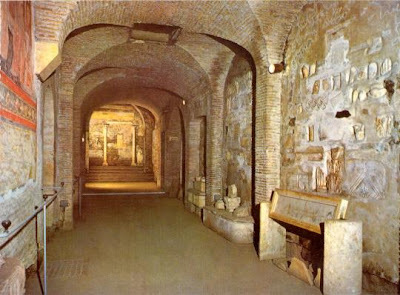 Other early Roman churches are built on the sites of Christian martyrdom or at the entrance to the catacombs, where Christians were buried. With Constantine’s victory at the Battle of the Milvian Bridge 1,700 years ago, on 28 October 312, Christianity became first a lawful religion and then the privileged religion of the Empire. This freedom gave freedom in the expressions of architecture, and the new buildings were modelled on the patterns of civic and imperial buildings. Why did early church architecture not draw on the plans for Roman temples? Well, those Roman temples did not have large internal spaces for worshipping congregations. The Roman basilica, on the other hand, was used for meetings, markets and courts, with large open spaces for meeting and assembling inside, similar to the needs of churches. The basilica, with its large rectangular meeting hall, became the model for new churches in both the East and the West, with a nave and aisles, and sometimes with galleries and clerestories. Roman basilicas were large vaulted buildings with high roofs, braced on either side by a series of lower chambers or a wide arcaded passage. At either end, a basilica had a projecting apse, a semi-circular space roofed with a half-dome, where the magistrates sat in court. Civic basilicas had apses at either end. But the Christian basilica usually had a single apse where the bishop and priests sat in a dais behind the altar. Previously, basilicas had a statue of the emperor as their focus, but Christian basilicas focused on the Eucharist. The first large churches were in Rome and had their origins in the early 4th century. Several of churches in Rome, such as Santa Maria Maggiore (Saint Mary Major), San Giovanni in Laterano (Saint John Lateran) and Santa Constanza, date from the fourth century. Typical plans for later basilicas included an atrium or courtyard, a narthex or vestibule, a central nave with double aisles, a bema for the clergy, and a semi-circular apse. Most of the atriums or courtyards, with surrounding colonnades, have disappeared. In time, their function passed to large square cloisters or colonnaded squares in front of the basilicas, which we can see at Saint Peter’s in Rome, Saint Mark’s in Venice and in front of the Cathedral in Pisa. The earliest large churches in Rome, such as Santa Maria Maggiore (Saint Mary Major), consisted of a single-ended basilica with one apsidal end and a courtyard, or atrium, at the other end. With the development of liturgy, processions became the introductory part of worship. The processional door led from the furthest end of the building, while the public used the door central to one side of the building, as in a basilica of law. As the clergy increased in number, the apse with the altar was too small to fit them all. A raised dais called a bema formed part of many large basilicas. We know from some early examples (Saint Peter’s in Rome and Saint Paul’s outside the Walls) that this bema extended laterally beyond the main meeting hall, forming two arms so that the building developed a T-shape. From this beginning, the plans for church building developed with transepts into the shape of Latin Cross, and this became the standard shape of many cathedrals and large churches in the west. Another influence on early church architecture was the mausoleums of Roman nobles, which were square or circular domed structures built to house a sarcophagus. Constantine built a mausoleum for his daughter Constanza with a circular central space surrounded by a lower ambulatory or passageway separated by a colonnade. Her burial place, as well as being her tomb, became a place of worship. It is now one of the earliest church buildings that is centrally planned, rather than being built length-wise. Constantine was also responsible for building the circular Church of the Holy Sepulchre in Jerusalem. This plan influenced the design of a many buildings, including San Stefano Rotondo in Rome and San Vitale in Ravenna. Later examples include the Temple Church in London and the Round Church in Cambridge, and the shape of a former round church in Dublin, Saint Andrew’s, can still be traced in the semi-circular street line from Suffolk Street into Saint Andrew Street aoround the perimeter of the later Gothic Revival building. These circular or polygonal churches have a centralised focus, rather than an axial one. In Italy the circular or polygonal form was used throughout the mediaeval period for baptisteries, with famous examples in Florence and Pisa. Other circular buildings that became churches include the Pantheon in Rome and the Rotunda, built in Thessaloniki originally as an emperor’s burial place. They have numerous niches designed originally for statues. The Rotunda in Thessaloniki was built by the Emperor Galerius as his future mausoleum. But he died in Serbia and was never buried here. Instead, the Emperor Constantine converted the Rotunda into the Church of Aghios Georgios (Saint George). Most mediaeval cathedrals and great churches have a cruciform ground plan. In Western Europe, this plan is usually longitudinal, in the form of a “Latin Cross,” with a long nave crossed by a transept of different proportions. Many early Byzantine churches have a longitudinal plan. Aghia Sophia in Constantinople has a central dome, which is framed on one axis by two high semi-domes and on the other by low rectangular transept arms. But the overall plan is square. This large church has influence the design of many later churches. A square plan, with the nave, chancel and transept arms having equal lengths, is what we know as a Greek cross. In these churches, the crossing is generally surmounted by a dome. This became the common form for Orthodox churches in Greece, and throughout Eastern Europe and Russia. Churches in this shape often have a narthex or vestibule which stretches across the front of the church. This type of plan later influenced the development of church architecture in Western Europe, particularly noticeable in Bramante’s plan for Saint Peter’s Basilica in Rome. With the division of the Empire into East and West in the fourth century, liturgy and liturgical needs evolved in different ways in the east and in the west long before the Great Schism in 1054. While the basilica was the most common form in the Western Church, a more compact, centralised style became predominant in the Eastern Church. The domes came to symbolise heaven. The projecting arms were sometimes roofed with domes or semi-domes that were lower and abutted the central block of the building. However, while Byzantine churches were planned around this central domed space, they generally maintained a definite axis, so that chancel generally extended further than the other arms. This projection allowed for the erection of an iconostasis or icon screen separating the altar area from the congregation except at those parts of the liturgy when its doors are opened. By the 6th century, Byzantine churches were combining centralised and basilica-style plans, with semi-domes forming the axis, and arcaded galleries on either side. The design of Aghia Sophia in Constantinople influenced later Christian architecture, but also had an influence on Islamic architecture, seen in the Dome of the Rock in Jerusalem and the Great Mosque in Damascus. In 16th century Russia, the dome was replaced by a much thinner and taller hipped or conical roof. These “onion domes” may have had their origins in the practical need to prevent snow from building up on the roofs. One of the finest examples is Saint Basil’s in Red Square in Moscow. In the Mediaeval Western Church, the rise of the monasteries changed the shape and architecture of church buildings too. The traditional nave-and-sanctuary church made the sanctuary the preserve of the clergy and it could then only be seen from a distance by the congregation through the intervening arch or rood screen. The elevation of the host became the focus of the celebration of the Eucharist, and some churches had holes or squints cut into walls and screens so that the elevation could be seen from the nave. The liturgy was said in Latin, and the people engaged in their own private prayers devotions until the elevation, but people in the congregation seldom received Holy Communion. The canonical expectation that every priest would celebrated the Mass each day and the idea that an altar could only be used once meant that in religious communities a number of altars and side chapels were required and this practice spread from monastic churches to the cathedrals and to the parish churches. The development of new materials and new techniques also influenced church architecture. Early churches in northern Europe were often built of wood. But in the 10th and 11th centuries, the Benedictines made wider use of stone and this made it possible to build larger structures, with transepts, crossing towers and west towers. Across Europe, church architecture evolved, developing different styles even in the same region and in the same time period. Collegiate churches and abbey churches, even in small communities, tend to be more complex than parish churches, which tend to be simpler. Churches built with the patronage of a bishop, a noble family or a local magnate often employed an architect rather than the local parochial builder. This sort of patronage is also reflected in the development of chantry chapels, tombs, memorials, fittings, stained glass and other decorations. Churches with the relics of famous or popular saints became the centre of pilgrimage and the financial benefit this brought was also reflected in the buildings. Pulpits had always been a feature of Western churches, but the emphasis on their place in churches developed with the friars who prized preaching. The Reformations in the 16th century brought radical changes in church architecture. While Roman Catholic churches retained an emphasis on the sacramental, in some traditions the pulpit replaced the altar as the primary focus in worship. In England, stone altars were removed and replaced by a single wood table, although many of these changes were reversed under Archbishop William Laud in the 1630s and 1640s, when altars, including stone altars, were moved back to the East End, and altar rails were introduced. But we could say that in the post-Reformation and post-Trent period, all traditions in the Church came to emphasise on full and active participation in the liturgy and public worship, even if there were different understandings of how this was attained. In the Roman Catholic tradition, there was an emphasis on the emotional and the ecstatic, achieved through the ceremonial performance of the liturgy, and enhanced by marble statues, gold fittings, and stained glass windows. For all, the common purpose was to help worshippers to feel they had come closer to God. 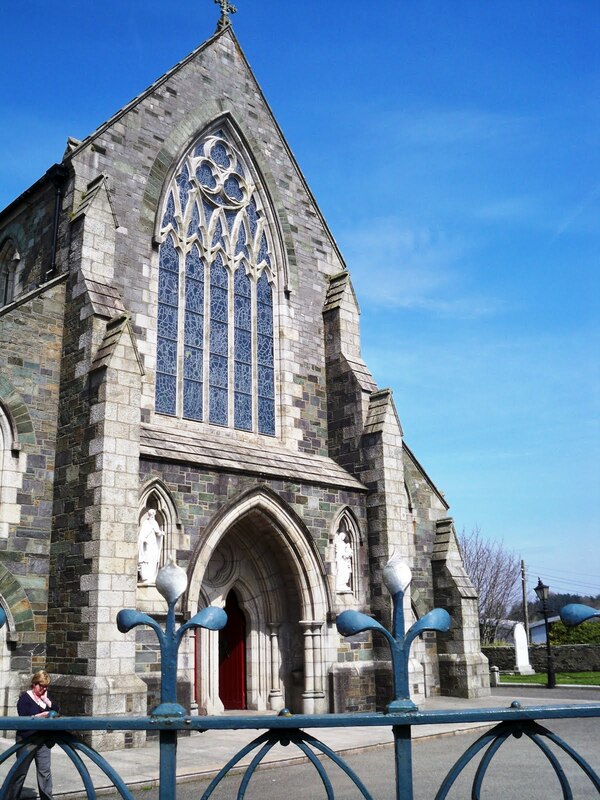 The 19th century saw a tidal wave of church building in Ireland. Classical architecture was seen as representative of Anglicanism, and so AW Pugin’s Gothic style influenced many of the churches and cathedrals built in Ireland from the 1830s and 1840s on. Newman failed to have nay Byzantine churches built in Ireland, with the notable exception of the University Church on Saint Stephen’s Green, and the Gothic style spread quickly to Anglicans and others, including the Unitarians. But priorities in liturgy were changing. 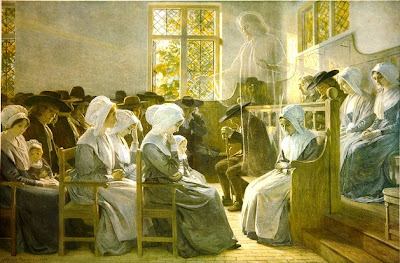 The Liturgical Movement from the 19th century on emphasised the insight that worship is a corporate activity and that the congregation is not to be reduced to spectators, certainly not to be excluded from sight. Simplicity became an important goal in Church architecture. Reinforced steel and concrete brought new possibilities in the 20th century to church architecture throughout the world. But so too did the popularity of white walls and colourless windows, and simpler seating. At the Second Vatican Council, the decree Sacrosanctum Concilium (December 1963) encouraged “active participation” (participatio actuosa) in the celebration of the liturgy by the people and required that new churches should be built with this in mind (#124). Subsequently developments included the introduction of free-standing altars that allowed the priest to face the people, and this encouraged circular buildings with free-standing altars, one of the best-known examples being the Roman Catholic Metropolitan Cathedral in Liverpool. A “market place” theology suggested building multi-purpose churches, with secular and sacred events sharing the same space, albeit at different times. But the emphasis on the unity of the liturgical action was countered by a return to the idea of movement. Three spaces, one for Baptism, one for the Liturgy of the Word and another for the Eucharist with the congregation gathered around the altar, have been popularised in Anglicanism by Richard Giles, author of Repitching the Tent and Creating Uncommon Worship. But these arrangements are more difficult for large congregations. A different and separate development has seen the building of large, theatre-like churches, complete with stages and large amphitheatre-like seating. Which liturgical priorities are reflected in the churches you know? What is the primary point of focus in your parish church or cathedral? What is the theological message that this sends out? Peter and Linda Murray (eds), The Oxford Companion to Christian Art and Architecture (Oxford: Oxford University Press, 1998). Richard Giles Re-Pitching the Tent (Norwich: Canterbury Press, 3rd ed, 2004). Richard Giles Creating Uncommon Worship (Norwich: Canterbury Press, 2004). 4.1: Field Trip 1, visit to Christ Church Cathedral, Dublin, to see the development of Church Architecture in Ireland over the centuries. 4.2: Field Trip 1 (continued), visit to the National Gallery of Ireland, Clare Street, with the collection of European religious art, including Carravagio’s Taking of Christ. 5.1, A house divided: Rome and Byzantium. 5.2, Seminar: readings in key thinkers in the late Mediaeval Church, may include Gregory the Great, Thomas Aquinas, Francis of Assisi, &c.
(Revd Canon Professor) Patrick Comerford is Lecturer in Anglicanism, Liturgy and Church History, the Church of Ireland Theological Institute. This lecture on 6 March 2015 was part of the Church History Elective (TH 7864) with part-time MTh students. Hi. I'm doing a study on the church of Sacred Heart in Laytown and is wondering if you know the materials used for the walls of the building. I'm talking about the walls of the new church, not the 19th century gable front. Thank you.